When you need to update the look of your house, you should contact a reputable Chicago hardwood flooring contractor. We at Midwest Hardwood Flooring are happy to help you either switch from carpet to a harder surface, or update your current hardwood flooring so it looks brand new. No matter why you are considering a change of floors, we are happy to help. We offer a wide variety of products for you to choose from, along with above average customer service. 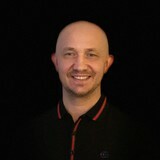 When we offer a written proposal for the project, you will see that our prices are quite reasonable. In fact, we can beat the prices of other companies. If you seek peace of mind during this project, know that we offer a 2 year warranty so you can be confident that you'll be satisfied with your new floors in Chicago. Hardwood Flooring Contractor services should only be performed by professionals, and should also be presided over by an owner who can ensure high quality results. 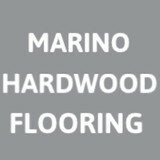 We offer all of the above and more, so call Midwest Hardwood Flooring today. We are a family owned and operated company since 1995. Adrian Flooring Inc. has been Chicagoland's premier flooring company. Adrian Flooring is a recognized leader in the flooring industry offering the full range of hard surface installations, refinishing, repairs; carpet installations; carpet and area rug cleaning; tile and vinyl installations; bathroom remodeling; kitchen cabinets and much more. Adrian Flooring has set the standard in customer care earning world class customer service featuring highly trained, safe, and courteous technicians that deliver a 100% satisfaction guarantee. Professional Hardwood Flooring Service. 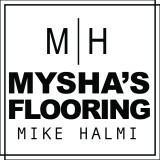 The Flooring Ninja delivers flooring services in Chicago and suburbs since 2011. We take pride in our attention to details. From floor installation and refinishing, to stairs and balusters, our flooring specialists are committed to giving your desired personalized touches. Our focus is on sanding, staining, finishing, installation and floor repair. 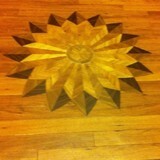 You can make your floor stand out with our custom inlay and hardwood installation! We are your one stop repair, replacement, and restoration service company. The Flooring Ninja…from precision to perfection. What kinds of services do hardwood flooring installation professionals in Glencoe, IL provide? Find hardwood floor experts in Glencoe, IL on Houzz. Search the Professionals section for Glencoe, IL hardwood flooring installers and dealers or browse Glencoe, IL photos of completed installations and look for the professional’s contact information.